Below is a column I started in December 2015. A year ago, the thought had already entered my mind, “What if Donald actually gets elected president?” I haven’t changed the original text but will denote where it ended. No, I am not to tell you an old, bad, and politically incorrect joke. Recently I was on my annual tour of London’s finest Pubs and Dining Establishments. Mainly, I was there to catch up with friends whom I now live an ocean away from. There’s always lots of interesting talk. This time some of the conversation was different, and far more personal than it usually is. This was especially true of conversations with two of my oldest and closest friends. Call us three guys in London; a Jew, a Tamil, and a Muslim. Each of us has the immense good fortune of being educated, affluent, and a resident of one of the “great” 21st Century Liberal Democracies. We each are native born to the nations our ancestors fled to and highly assimilated. I would go as far as to say that the religions/ethnicities described above are not much more than cultural descriptors to us. We are not actively religious, nor do we believe that ones religion or ethnicity is important although we are acutely aware that many people do not share that view. That being said, none of us feel that where we come from hurts us in anyway. Heck, my rabbinical circumcision made me the member of what appeared to be the majority group in finance. As it turns out two of us have married outside our faiths. I am happy to say that each of us is the proud father of two children. And this is where our conversations ultimately focused. Because if we are each not religious, our children are barely aware that they have a religion. Our children are completely assimilated. As a Jew, I know the history of what has happened when we have assimilated in the past. I also know that the world moves much more quikcly than ever before. Recently the ascension of the “Donald” in Republican presidential field has made me a bit queasy. Its not that I am afraid of his being president, the math tells me that he wont be, but rather the fact that he is giving voice to many things that are better left unsaid. So whether its Hillary’s bathroom habits, his budding bromance with Putin, his banning immigration and deporting Muslims, or his deep foreign policy skills, it all feels a bit Fascist and familiar to me. What scares me is that now that some of our public taboos have been broken, the next time a public figure utters the same things we’ll be a bit less shocked, and so on. Also, it is clear that the “Donald” is not the only person with these views. I know that times are tough, people are being displaced in many ways and don’t see the way forward. It is easy for a politician to leverage these fears into political gain. But where does it lead. So maybe I was paranoid, or maybe I felt that Brexit and Trump were coming. If I had, I would have made a bunch of money on that double. What I was getting at a year ago is that the three of us and our families live in a bubble of highly educated, affluent, and urbane people who seemingly had put the tribalism, ignorance, and hatreds of the past behind them. The past six months has challenged if not yet shattered our perceptions. Sure, we are still safe in our bubbles but let’s just say we have a sense of heightened awareness. Here’s why. It’s not about me. I know who I am, where I come from and all of the history as do my friends. It’s about our children. My daughters don’t really identify with my religion. They are thankfully unaware of the fact that history tells ME that it is possible that they could become endangered and quickly. My London friends are aware of the same thing. So what can we do about this? While none of wants to scare our children or limit them, we must say something. In my mind there’s three things that we all need to do. First, make sure to explain to your children who they are, where they come from, and their history. Tell them that their ancestors history need not define them but that because they are not members of the majority group that they must always be vigilant and aware of events occurring around them and that they must be ready to act to protect themselves. Second, tell them to be proud of who they are and to stand up for themselves. Let them know that bullies only thrive when they are allowed to run unchallenged. Hear something that sounds wrong? Confront it, bring it to the attention of others. Third and perhaps this is the most important. We must be better than those who discriminate! Bullying of others is bullying of us! Those of us who are not part of the dominant group must not be thankful when someone else is being attacked in anyway for who they are. So last Thursday, I broached the topic with my 15 year old daughter. She was extremely upset that Hillary had lost and what that meant for women both now and for the future. My daughter has a well-tuned sense of indignance and knows her history pretty well. The one thing she isn’t consciously aware of is the fact that if things go wrong she is a Jew. At first she was frustrated with me for not realizing that “being a woman is worse”. At one point I told her that there are many ways in which women are mistreated but that it was unlikely that she would need to flee her own country because she is a woman. We ultimately talked about the need for awareness without fear, the need for kindness without being a pushover, the need to lead your life as a citizen of the world without limits all the while knowing that it could change. I’m glad to have had the conversation but so sad that I had to have it. Next up, my younger daughter. I’ll be off to London in a few weeks, I wonder what my friends have been thinking/talking about. I wonder, how many of you have had the same thoughts? Are you doing anything? This entry was posted in Uncategorized and tagged children, hillary, jew, muslim, president, tamil, Trump on November 14, 2016 by kushnerjr. Blaming others for Hillary Clinton’s loss feels good but is likely to lead us to repeat our mistakes. We must look at the result and learn. I, along with virtually everyone I know has spent the past 48 hours banging their head against the wall trying to understand how we have ended up with President Trump. While I am certain that we can find some element of truth in each of the above, I believe that these are all traps for any of us who wish to ultimately reverse what has just happened. Donald Trump has succeeded in convincing (almost) half of the electorate that the past is a better option than the future. This is a complete break with all of American History. Remember Reagan’s City on the Hill? Now we have Drain the Swamp. I assume that’s where some of us will be living. Trump is loved for exclaiming that “Clean” Coal is a superior option to renewable energy. That Flexible Spending Accounts, which Paul Ryan conceived in grade school, are superior to the Affordable Care Act, which insures 20 million Americans, at least some of who must have voted for Trump. That not giving woman a right to choose their reproductive fate is better than to allow that freedom. That restricting trade is better than free trade. How did Donald pull this off? Remember not only did he win the presidency but he essentially pulled off a insider take over of the Republican Party AND relegated the Democratic Party to the hinterlands for what could be a long time. Simply put, there is no precedence in American political history for the Donald. I have come to believe that love him or hate him our President-Elect is the greatest marketer of our time along with Steve Jobs. Jobs had the ability to anticipate a need that no one else saw and then filled that need with one beautiful product after another. What Trump has done is to tap into a feeling shared by millions of Americans that everyone else had missed. He did this by listening to those that others ignored. He did this by understanding that while data and strategy may matter for crafting and implementing solutions, it’s USELESS for making people feel loved and cared for. After food, clothing, and shelter, the most important element in life is the need to feel loved, cared about, and important to others. Trump showed what all leaders know they need to show to be successful. He showed empathy to a large group of people who felt unloved and unnoticed. He not only articulated their pain, he convinced them that he felt it and was motivated to help. This is what engendered loyalty that proved to be unshakable in the face of things that the rest of us found to be disqualifying. As a comparison, while we all believed Hillary to be the better candidate, most of us believed this on an intellectual rather than emotional basis. If Democrats want to have any chance of leading again, they must understand and accept why they lost. While the above is not the only reason, it is a key and one that will not allow us to blame others for our setback. It is up to us to adjust to our new world. We must do this now. Democrats cannot wait until 2018 to lay the groundwork. What are Americans craving but not receiving from us (and the Republicans). Where can government help and where should it stay away? What is important to you? I firmly believe that Democrats must find a candidate who oozes empathy and not just in the eyes of their traditional voters but to as large a constituency as possible. This empathy needs to be authentic because, it’s likely that the Donald will ultimately disappoint his constituents and trust will be in even shorter supply. This means no technocrats or strategy wonks need apply. Not that we don’t need those folks, I just don’t believe that they are electable at this point. The Dem’s bench looks pretty thin. Any ideas? This entry was posted in Uncategorized and tagged clinton, Democrats, empathy, future, leadership, listening, past, republicans, Trump on November 10, 2016 by kushnerjr. The shocking news overnight that Britain has voted to leave the EU has triggered my memory of a conversation that I had about three years ago with the Managing Partner of my former employer. The employer is a global asset manager and the conversation marked the last time he and I spoke. At the time we were discussing the growth at all costs approach to economics that we have pursued for most of the past half century. This approach is a combination of globalization, low interest rates, low marginal tax rates and former corporate national champions becoming global entities. I told him that in my opinion global elites (I believe I used the term “the Davos Crowd”) had massively failed in their role as leaders. That along with reaping the benefits, those more fortunate had a responsibility to see to it that the rest of us got some of the benefits of these policies as well. He called me a populist and I told him, “Given how the elites have f**ked this up, I’m proud to be called a populist.” I had no idea that public opinion would move so quickly. There are many factors that played into the Leave victory last night. Large portions of the populace feeling as if they no longer had a voice in their government, a feeling that minorities and immigrants had a better deal then they do, and demographic split that should have been anticipated. It is concerning that, ALL of these factors are in play in most of the Western Democracies. The issues on Brexit, Austria, LePen in France and Trump in the US are strikingly similar. So why is this a bigger problem now? This is fairly simple. 500 years ago when the Lord of the Manor held all of the wealth, it wasn’t in the open for millions or billions to see. The few people he ruled over had no means to force change on the Lord. Now, we all know how much money Bill Gates, Warren Buffet, or Vladimir Putin has. For those who are struggling financially it isn’t difficult to come to the conclusion that their wealth and success is at least in some part created on the backs of others. In the US the tax regime and the regulatory environment clearly favors the large, rich, and powerful over the middle class, the poor, and the entrepreneur. Have you ever wondered why Dodd Frank looks the way it does? There are five banks that like it that way! So while the Brexit vote may be an isolated case where citizens expressed their displeasure with an admittedly bizarre public institution, is the rest of the West so far away? Could Trump win? What would a Trump win mean in the US? Better still what will happen in the US if Trump loses? Will there be a reaction outside of the legal political realm? My point is this. The past year has revealed schisms that most of us thought were a part of our past. There are scapegoats aplenty. Blacks, poor people, immigrants, etc. Are they really the problem? It’s time that we all looked at the beneficiaries of our present economic regime. Only they can lead a change that will not be tumultuous and potentially violent. Will they? I’d be betting against based on the evidence. This entry was posted in Uncategorized and tagged Austria, brexit, Davos, Dodd Frank, elites, EU, Trump, UK on June 24, 2016 by kushnerjr. Yes, Judge Richard Berman ruled in Tom Brady’s favor today, lifting the Goodell imposed four game suspension in the infamous Deflategate case. The judge correctly ruled that that the NFL doesn’t have penalties for not reporting misconduct and in reality, that’s all the NFL had on Tom. So who are the winners and losers here? Well clearly everyone in New England will believe that Brady has been vindicated. Lets be clear. Having charges thrown out doesn’t mean that Tom acted in an ethical manner. Believing that he didn’t know that balls were underinflated (I’m pretty sure he asked to have the balls this way) is akin to believing in the Easter Bunny. Remember, Brady’s and the Patriots success has more to do with better preparation than better talent. It’s why other teams hate them. They are ALWAYS better prepared even if that means pushing the limits of the rules. 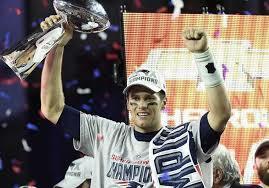 So Tom will get to chase another championship and some records but he is NOT innocent. Certainly NFL Commissioner Roger Goodell is a loser here. After all he stood firm against one of the league’s marquee players and teams. Additionally, this is one of a series of missteps in the disciplinary arena (Ray Rice, Adrian Peterson) sustained by the Commissioner in recent times. Is he the loser? I don’t think so!!! Lets face it while Goodell will publicly state that his job is to uphold the integrity of the game, his job really is to get as much money in to the pockets of the 32 lucky monopolists who get to own teams as is legally possible. It seems to me like Goodell has done exactly that. Can any of you remember a day during this OFFSEASON when the NFL hasn’t been in the news? I can’t! The Commissioner has simply orchestrated a scandal that lasted from a few days before the end of one season until a week before the start of the next. Who needs advertising? Free press is always better. It amazes me how many days that the NFL is the lead story on SportsCenter, in July! Any thoughts on what the ratings might be for NFL kick off next Thursday? Is it a coincidence that the Patriots will be hosting the Steelers in that game? I wouldn’t be surprised if the game drew Super Bowl like ratings. 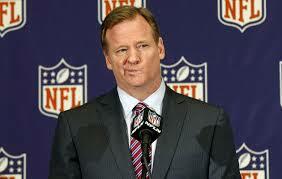 Driving the popularity of the NFL is the job of Roger Goodell, not the integrity of the game. It’s why he gets paid $40 million per year. Sadly no one thinks integrity is worth that much. I may be wrong about this but those of you that doubt me should look to see what he gets paid for this year’s work. So who are the losers here? Well certainly the “integrity” of the game is a loser. If I were a gambler, I might think twice about that parlay bet next Sunday. After all, if the balls are tampered with who knows what else is tampered with? Oh, I almost forgot the real losers here. Maybe it’s because they have become losers almost by definition. It’s the New York Jets and their fans whom were convinced that even if justice would never be delivered on the field that maybe it would be delivered in the court of law. WRONG. The George Washington Bridge is closed to pedestrians today for obvious reasons……. This entry was posted in Uncategorized and tagged Deflategate, New England Patriots, New York Jets, NFL, Roger Goodell, Sports Center, Steelers, Tom Brady on September 3, 2015 by kushnerjr. Something odd happened to me yesterday morning. At 9am I was at the gym, doing my thing on the elliptical trainer. As I flipped channels, I saw the same thing again and again. With varying levels of hysteria, every station had a talking head describing the carnage occurring in the stock market. 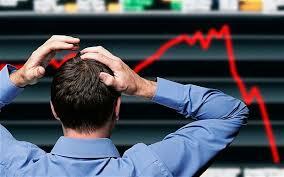 At one point the Dow Jones Industrial Average was down over 1,000 points or 7%! Once upon a time, most of my adult life, I would have been consumed by this event. It would have likely dominated my day, week, month, etc. This morning, I found myself thinking “big deal” and wondering why I had spent all of those years actually caring. I spent twenty years in finance, the last nine with a large hedge fund. I remember the currency crisis of 1998 when I worked weekends for months straight just to figure out what our positions actually were, debating in 2001 who should go to work in the shadows of the World Trade Center the day AFTER the worst terrorist attack in US history, most of all I remember spending a beautiful weekend in Venice in my hotel room on an endless conference call during September of 2008 while my family saw the city. You see finance is all consuming to those who are involved. Its not just the money, it’s the action, the importance of what people in finance think that they do. We thought that every action we took had broad and deep consequences. So at a time like this we would be obsessing about what we should sell, what we should buy. What can we sell? Who wants to take their money out? How can we convince them not to? Will the banks call our loans? What will the FED do????? Now I could speculate about why we are having this sell off. It’s a marginally interesting topic and I still do have an investment account or two. But the reality is that there are too may others wasting space on the topic, I am not nearly as well informed as I once was, and the cynical side of me is pretty convinced that this is just another example of market players bullying the FED into keeping rates low. For those of you who don’t realize it, that is good for asset owners, not the rest of us, especially those on fixed incomes. In the three plus years since my departure from the world of finance, I have learned many things. People in finance are smart, hard working, and focused. Of course they aren’t the only ones. In every walk of life I meet people who share those attributes. Many of them are involved in matters much more pressing than the price of a share of Apple or how to sell a basket of loans. They work in environments that are much more complicated and have diverse constituents with vastly different incentives. It’s why I ultimately turn off the talking heads, finish my workout and head off to work on building a social venture that hopefully will make a difference. This entry was posted in Uncategorized on August 25, 2015 by kushnerjr. Warning to those of you who are tired of my negativity around all things America. Im at it again! I am always reminded that I am a citizen of the most diverse nation in the history of mankind. Occasionally, the reminders are positive, frequently they come with a negative context. The question of the day therefore is, why as an American do I have to shop for clothes at Banana Republic, The Gap, or J Crew while I eat at some crappy chain. I am on the end of a twelve day journey to Greece and Italy where I am constantly impressed (even in Greece) with the diversity of options for shopping and eating. It is important to note that the diversity is not just in the brands of the shops but in the items for sale in the shops. It is so refreshing to see so many different styles in so many price ranges. Now I understand that my view is likely skewed by the fact that I live in Boston, the worst dressed city in the free world. Where else could you eat a gourmet dinner in the comfort of your sweats and Red Sox cap? But even when I go to New York, Chicago, or San Francisco, I am comforted (bored?) by the fact that I see the same stores and restaurants that I see everywhere else in the US. Of course, I havent been to Phoenix, Atlanta, Cleveland, or Buffalo any time recently. Maybe that’s where I need to shop. 1- The price advantage of less choice and therefore larger production runs appeals to that obsessive American desire to have more of anything at a lower price, regardless of quality, style or other factors. 2- Americans just don’t really want to have choice in the way they look or eat. Perhaps they arent risk takers in this regard, or they just don’t care all that much. 3- Landlords are able to extract such high rents (and favor large corporate chains) that sole proprietors can not survive. I’d love to know your thoughts. Am I missing something? Maybe it’s just me and my desire for choices in style. Maybe, I want to be able to wear shorts at the beach, a linen jacket for dinner, and a stylish slim cut shirt to a meeting. Perhaps, I should just pretend that the world is my couch and dress accordingly. Or, Ill just need to keep on traveling….. This entry was posted in Uncategorized on August 9, 2015 by kushnerjr. As I sit watching the umpteenth hour of the coverage of the Charleston shooting, I find myself becoming numb. I am NOT becoming numb because of the sheer sadness of the event, that happened twenty shootings ago. I am numb because every single person being interviewed from the man in the street to Al Sharpton does nothing more than express their sadness. Which is nice but quite frankly, f’ing useless! What I want to know is where the hell is the anger? I know that I am angry. Is anyone else? Perhaps, we have all become so used to this that we have developed a conditioned response to express sadness and solidarity! It almost seems choreographed. Big deal! I have at least two reasons to be angry. First, is BLACK LIVES MATTER! We do a lot of talking about equality in America but, really!!! Imagine if a black man walked into a white church and killed nine white people! There’d be a hell of a lot more than sadness, you can be assured of that. These were regular, hard working, family loving, citizens of our nation. Gunned down by a lunatic who thought that they were less worthy of living than he was. That brings me to my second reason. Clearly the shooter “had issues”. Multiple arrests in the recent past, including one for drug possession. As a parent, I would be concerned if this was my child. But the father of the shooter thought that it would be a good idea to buy his son a gun for his birthday. Terrible echoes of Newtown here. Why can’t we throw this fine citizen in jail too? If people want to buy and own guns then we as a society must be able to hold everyone responsible for their actions. Here’s the main reason for my anger. A student of history should know that real change only occurs through anger and fear. The civil rights movement only gained traction when people took to the streets and the federal government feared widespread unrest. Then there’s the case around inequality. Inequality in the US was at its lowest point during the period 1945-1980. Not surprisingly, this period coincides with the peak of the fear of communism. It isn’t hard to believe that this fear led politicians and business leaders to “play nice” with labor which led to the greatest period of prosperity in American History. This is probably the best reason to keep Bernie Sanders around, but that’s another blog. Felling and expressing sadness in light of horrible events is a normal and important emotion. I feel it too. As long as we all understand that just doing this will change NOTHING then it’s fine. For those of us that are just sick of this crap and the absolute lack of reaction to it, get angry, channel that anger, and do something!!! This entry was posted in Uncategorized on June 18, 2015 by kushnerjr.